It is a big poster covered with the images of Bal Thackeray. The first image is a big passport size picture of the political leader but the second picture shows action. It shows Thackeray delivering a political discourse in his traditional style – finger pointed towards the mass gathering. In the bottom, there is name of the movie and it is painted red. 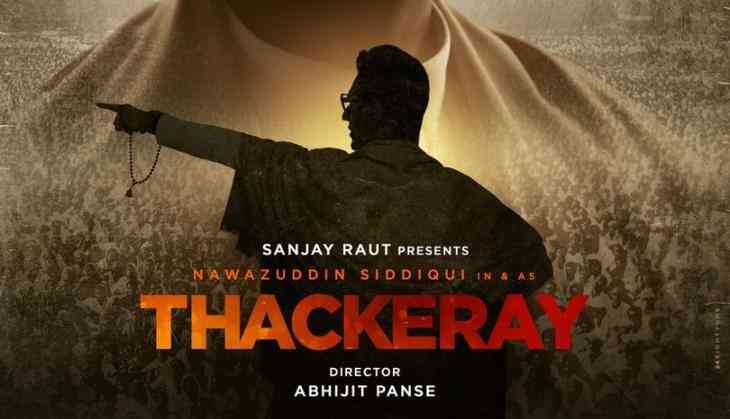 Shiv Sena followers and Thackeray fans are curious to watch their favorite leader live on the screen. Others can take it as education on the life of one of the biggest political leaders of modern India.